This is pretty much the yakisoba recipe, but with extra veg and (horror of horrors!) sweet chilli sauce. So it’s lazy and its soba noodles and it’s delicious. So delicious in fact, it’s on my menu again this week! You’ll hear no complaints from us. 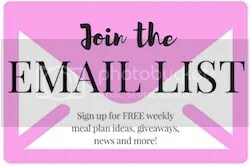 I’ve absolutely loved visiting everyone’s blogs and seeing your Meatless Monday contributions – it’s by far the funnest part of this link idea! Thank you one and all for linking up and providing so much inspiration to others. There are so many ideas that there has to be something for everyone. No excuses! 1. Saute the carrots, veg, garlic and light-green part of green onion/scallion over medium heat 5 minutes or until soft and beginning to brown. 2. Meanwhile, cook soba noodles in boiling water 2 minutes, then drain and refresh. 3. Add noodles to veggies, turn heat down and add soy sauce, sweet chili, and sambal oelek. 4. Turn up to re-heat without boiling sauce too much. Serve sprinkled with toasted sesame seeds. ♥ Grab the Meatless Monday button above and put it in your post, and even on your sidebar if you’re feeling generous. Where it says “Name”, you might like to add the name of your dish instead or as well. I use sweet chilli sauce when I'm lazy and desperate too – but I always squeeze in half a lime to balance out the super sweetness. Sesame seeds are a must with soba noodles too, so good! ooh yum! I really need a chinatown visit to boost my noodle supplies 🙂 ….bit low on photos to be joining in this week, I've been too hungry to stop and take photos before I eat lately! I love noodles and “lazy” is right up my alley! This sounds yummy! I'm too lazy even for that! Yep it's a good combination here! I'm so lazy I haven't even tried soba noodles yet. but i'm sure i will, because you wrote about them on here. i have no horrors about sweet chilli sauce. i like it. Hi, this is my first time joining Meatless Monday. Love the idea of cooking non-meat dishes. 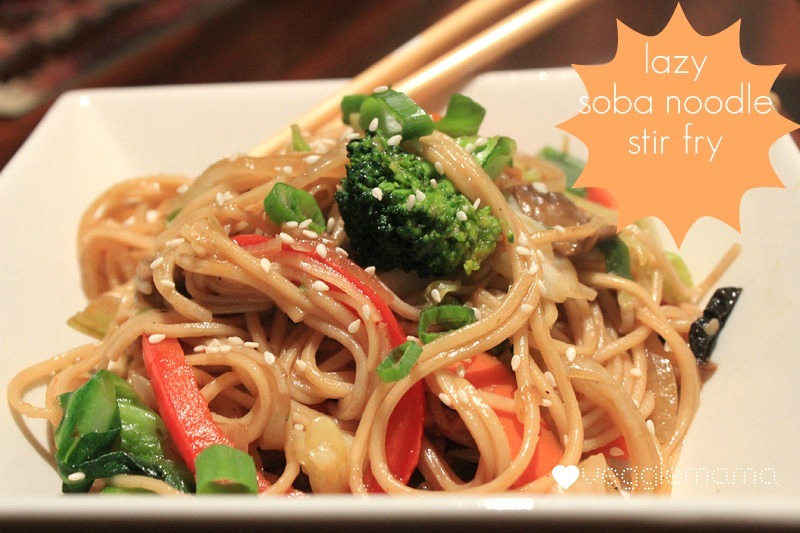 Your soba noodle stir fry looks delicious. Just my type of dish. Easy and healthy. this is just about my speed. dinner next tuesday! 🙂 recommend any for next week? ooh, what are you in the mood for? I’m thinking along the lines of legumes and some sort of colorful salad.